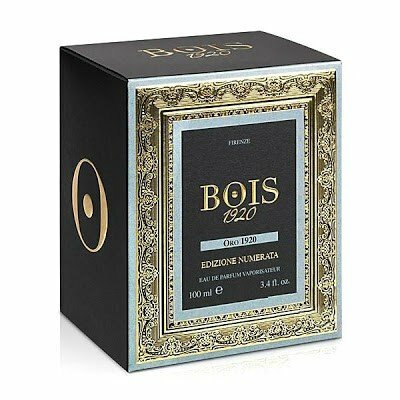 Oro 1920 is a popular perfume by Bois 1920 for women and men and was released in 2013. The scent is smoky-leathery. Projection and longevity are above-average. It is still in production. In the realm of Tuscan Leather "alike" leathers, this reigns as #1. Incredibly rich and refined. It lacks the smokeyness and rough edges that are present in Tuscan Leather. At one time this fragrance was near $900 and now it is much more affordable in the $175 (discounted sites) and $340 (Barneys) range. If you are a leather addict like I am, this should be in your collection and chances are, it will be your most loved as well. Soft and creamy smoke. "Tuscan Leather" -like raspberry note appears from time to time. But smokey notes prevail.